The increasing demand for developing websites has confirmed the emergence of website designing services in the industry. It is enhancing every day. This service can be acquired by any aspiring businessman, an educational institute or an individual who wants to expand their business. In order to own a website, you need to hire one web developer as they will be able to guide you with the technical knowledge and appropriate skills to build a website. There are many web development companies that provide these services with experienced professionals. The main aim of these companies is to build a website for their customers and ensure the requirements of the clients are fulfilled. WDIPL is one such company that possesses qualified designer’s to guide their customers. In the CMS industry, website development and managing of WordPress is among the most popular brands. 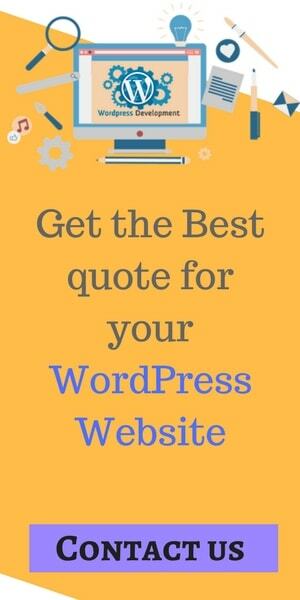 If you want to build your website and you lack the resource to do so, then you can outsource your work to a WordPress website development company. They would also assist with all the managing that you require for your website. There are a number of WordPress development centres all around the world which are available at the modest prices. WDIPL is an expert in providing such services. They use various designing tools and offer their clients custom built solutions as per the requirements of the clients. There are many instances where you might panic while selecting a service provider. There is a solution to this as well. You should pay appropriate consideration in choosing a custom WordPress development company, and so you will be able to receive the best service. WDIPL’s services are cost-effective, secure and elevated for Google ranking. • You should always go in for references. You must ask your family, friends, colleagues for references. This is a help to lead you to a better service. • Before hiring the WordPress development service you should check the portfolio of the company. Ensure that the company has earlier managed the kind of project you want to avail. The portfolio of the company will give you a clear picture of its nature of work and methods. • You should also inquire whether the company will provide support even after the development of the website for at least a year. This is very important because however advanced your website may be, it is going to have initial problems. • You must interview the person who will be managing your project. The outcome of his skills will give you the desired results. The growth of business if giving rise to the web developers India. The technological advancements in the field of IT sector have given a boost to web designing services all around the globe. Due to this both the businessman and the consumers have benefited.